24/01/2017 The Royal Health Awareness Society (RHAS) and Al Marji’ Publications will continue to promote health awareness by renewing their cooperation agreement today. 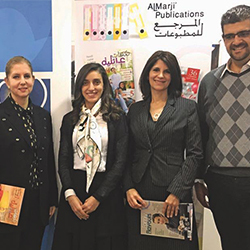 Through Al Marji’ Publications’ two parenting magazines, Family Flavours and Nakahat ‘Ailiyeh, RHAS will reach out to parents and caregivers with health information to promote healthier lives through its programmes and tips. “RHAS complements our mission in both Nakahat ‘Ailiyeh and Family Flavours,” notes Hind-Lara Mango, Managing Director and Publisher of Al Marji’ Publications. “The Society continues to provide our readers with credible statistics and health information for the whole family,” Mango stresses. This strategic partnership reflects the longstanding mission of Family Flavours and Nakahat 'Ailiyeh, Jordan’s only parenting magazines, to empower families with health facts, tips and inspiration to live healthier and happier lives. New study suggests that daily aspirin reduces the risk of the deadliest skin cancer melanoma.